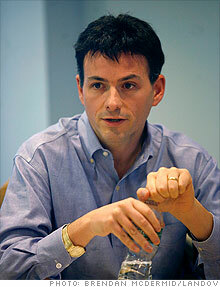 H/T to http://www.insidermonkey.com, who got a copy of the audio file of David Einhorn’s speech at Ira Sohn and transcribed it. The basics of Delta Lloyd is a Dutch financial services company listed in Amsterdam and operating mainly in the Netherlands and Belgium. The Bloomberg ticker is DLNA. It has 167M shares outstanding and trades at 70% book value, 6x earnings, and has a 6% dividend yield. Delta Lloyd reports embedded value, which is essentially the discounted value of the existing book of business. At 32 € per share, it means the shares essentially trade at half the runoff value of the company assuming it writes no new business. Delta Lloyd has over 40B€ of its own risk assets and manages over 70B€ funds in total. It’s primarily a life and pensions business, with about 30% of operating earners coming from the property casualty insurance asset management in banking. While S&P only rates the group single pay, its insurance entities hold on average 2.3 times the amount of capital required by the regulator at the subsidiary level and 40% more than Delta Lloyd’s own minimum target. Delta Lloyd has only 15% net to equity versus peers typically having 2-3 times as much. Delta Lloyd’s strong capital position and focus on the long-term pension business enables it to take a bit more investment risk than others.